RAIDERS of R’LYEH is a stand-alone roleplaying game and sourcebook in which mercenary rogues explore forbidden frontiers, unearth ancient artifacts, and outwit villainous scum. Derived partly from the Runequest rules that have been released under the Open Game License, the game is crafted to emulate not only adventure in the CTHULHU MYTHOS of H.P. Lovecraft and his circle of influences, but especially the savage and evocative feel of Robert E. Howard’s Mythos and Weird menace stories. Attention has been made to keep the game mechanics compatible with other percentile systems — while innovating additional rulesets unique to the setting and atmosphere — so those players wishing only to use Raiders of R’lyeh as an Edwardian era adventure sourcebook will have a massive global setting to explore and use in their preexisting Mythos campaign, as well as modular adventure, monster and scenario resources for gaming in 1900-1913. Those players wanting a standalone rulebook with its adventure modes of play, will have a complete toolkit for interacting with the Cthulhu Mythos. And much more: new skills, new gear, basic and tactical combat rules, chase rules, etc. At over 500 pages, BW, Raiders of R’lyeh comes with a vast assortment of toolkits to build and run your own adventures set in the Mythos! ABOUT THE PRINT EDITION: What is the difference between the Hardcover B&W Book and Hardcover Color Book (Standard Heavyweight)? The “Hardcover B&W Books” are printed on 50# white paper, while the “Hardcover Color Book (Standard Heavyweight)” uses a thicker 70# white paper which has better page opacity. Please note that despite being listed as Color, both editions are in black & white. However, some customers notice a discernible difference in quality in the thicker edition, so that option is offered here. NOTE that the Gamemaster’s Guide & Complete Rules print edition has an alternate “Fire of Asshurbanipal” cover (which may be previewed at raidersofrlyeh.com/design-journal-series). Why is there an apparent glowing review on the cover - in quotation marks at that - without any attribution? Why should I assume the entirety of the product is not also a con-job? And why does it cost more "on sale" than the game it's a knock-off of? I don't see anything suggesting that quote is from a review (and there's nothing about it I would call "glowing"). It looks to me like a simple description of the game -- a mission statement, if you will. A bit odd for that to be on the front cover, in quotation marks, instead of on the back cover, but that doesn't make it a "con-job". Why would a statement from the publisher or author on the cover be in quotation marks? If it's "odd," why are you defending it? You work for the publisher? Friends with the author? Underrated game. Very fun and thorough. Thank you Dale! We’d love to hear play reports from your group. How can we get the one with the 'Fire of Asshurbanipal' cover? Thank you for the question. The Raiders of R’lyeh: Gamemaster’s Guide & Complete Rules print edition has the Fire of Asshurbanipal cover as the default. Okay. So, not the cover that is featured here with the burly dude. That's very confusing, but thank you. Are there still plans for a Dreamlands expansion of the setting, that I remember reading about in an interview a while back? How do you get the POD? Thanks for asking. We want to make sure all the backers get their books first — we’re almost done fulfilling those right now. Then we’ll make POD editions available in the store. Any news about the POD version? Thanks for asking!. We want to make sure all the backers get their books first — we’re fulfilling those right now. Then we’ll start working on making POD editions available here. Thanks for the info...definitely looking forward to the POD. Does the DT RPG add dust jackets and gold foiled stamping to their printing? I'm curioius how "collector's edition" for Kickstarter will be done via DT RPG. Are comments here moderated? I left a comment with no answer and it's gone now. I was only wondering why after years after backing this project I don't see the final project and since December there was no official word on this project. Game looks great but the way communication and handling how the KS was done - a disaster. The final version is not a bad game, albeit somewhat late. Will the promised final version of the Core Rules Document also be released at some point? I forgot to add that I go by John D., and my comment/review is below. Actually, that would be the "Edwardian Age." The Georgian era was roughly the time between the end of Queen Anne's reign, and the Regency period of English history (that is, prior to the period of the Napoleonic Wars). This game is set in the decade prior to World War I, not a hundred plus years earlier -- just in case anyone is confused! Is this the same version that was released to backers? Quentin, I see you've answered some questions below, but have neglected to post anything to the Raiders of R'lyeh page or on Kickstarter. You had to know that releasing the final product here on RPGNow before sending it out to your backers after three years if delays would be a slap in the face. I can only assume that you have a good reason for doing this, but ignoring the people who gave you money years ago to help you see your game be released is kust foolish. I think at this point in time, you are all out of good will by anyone who backed your Kickstarter. A lot if people have been waiting very patiently for you to finish Raiders of R'lyeh and ignoring them is a ridiculously bad idea. Sure we want the hardcover books, but giving us the final PDFs would be a step in the right direction. If not through vouchers here, you could easily send out the latest files via BackerKit. Please do the right thing, either by responding to me here or posting an update on Kickstarter. Whatever. Just let us know what...See more is going on. Thanks. Gordon, I just double-checked your Backerkit account and confirmed that you received these PDFs 9 months ago, along with the other backers who got an early release of the game. If you have trouble with your downloads, please send me an email at mail AT thecipherbureau DOT com and I'll get you sorted out tomorrow. A wealth of information in this game. 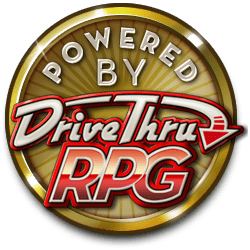 Any chance for GM screen inserts? It's something we'd like to do if we can get to it, but it's not in the immediate plans. Great idea. Are there plans for a POD for the game? Yes, we are working on it though we don’t yet have an exact delivery date.